Longer, happier, healthier lives await those who own dogs, wrought with fewer cardiovascular diseases, stress levels, immunity issues and lifestyle diseases. A study recently published in Scientific Reports – which involved 3,4 million people and their health – showed that there is a definite link between a person having a dog in the house and their longevity, especially for those who live alone. The study showed that dog owners have a lower risk of dying due to cardiovascular disease than those without dogs. Moreover, according to Harvard Medical School, they enjoy lower blood pressure, cholesterol and triglyceride levels. That means you can expect better quality of life for longer, improved experience of exercise and better energy levels overall. 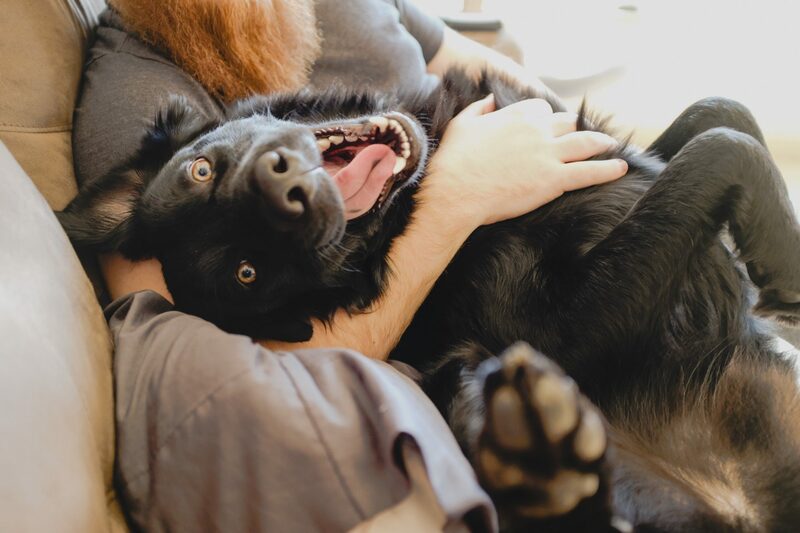 It would appear as though our emotions can also benefit from having a furry friend. According to a study by the late Pretoria-based vet, Johannes Odendaal, just stroking a dog results in decreased levels of the stress hormone, cortisol, in both the human and the dog. In addition, the levels of both oxytocin and seratonin increases to double the previous levels. In other words, there’s scientific evidence to dogs being man’s best friend! Growing up with a dog also has its benefits in reducing your risk for allergies and asthma, and it is suggested that children who are raised in homes with dogs enjoy better immunity to bacteria and germs. According to a study published in JAMA Pediatrics, when school-age children are exposed to dogs during the first year of life, they have a 13% lower risk of asthma. This is likely because their immune system has had contact with animals from a young age and can therefore build better resistance against bacteria, germs and viruses. Dog owners also enjoy reduced risk for depression, feeling of loneliness, anxiety and panic. In fact, this effect has proven to beneficial that dogs are now being used as part of the therapy in various hospitals alongside conventional medicine. Moreover, evidence is showing that different animals can be useful to treat mental illness, even for those facing challenging disorders. Click here to find out more. Studies also show that people with canine companions lead more active lifestyles and are more likely to reach their fitness goals than those without dogs. The Journal of Physical Activity and Health published a study in which owning a dog led to increased physical activity by 69%, while it also increased the speed at which people walked compared to non-owners. Moreover, families with dogs also showed better activity levels, with teenagers benefiting from better fitness and children getting more incentive to play outside, further reducing the likelihood of childhood obesity. Speaking of which, click here to find out how HIIT training can improve your fitness levels, after we did a two-week complementary course with Ritual, the 20 minute gym.